Last Chance to Enter the The Elder Scrolls Online Trip of a Lifetime Giveaway! 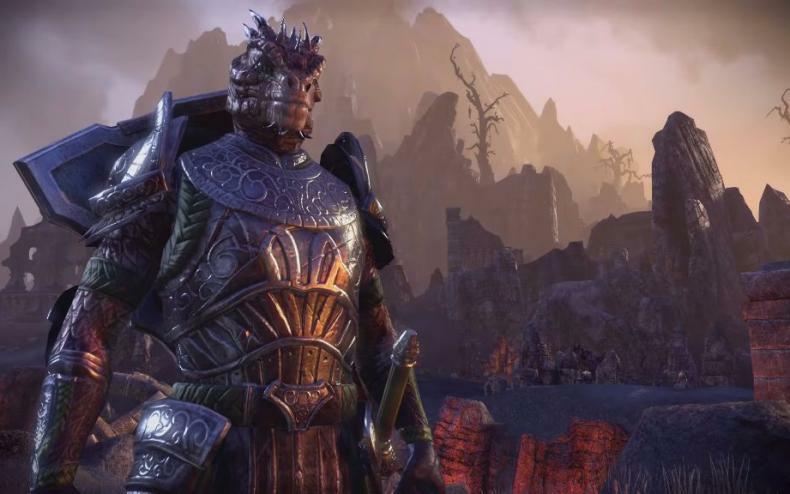 Bethesda Softworks’ amazing massively multiplayer online role-playing game The Elder Scrolls online recently received a free, huge update in the form of One Tamriel, which is Update 12 for the game. Launching on all platforms, Update 12: One Tamriel, offers players more freedom to explore the in-game world of Tamriel than ever before. But that’s not all. October also saw the launch of Elder Scrolls Online’s first major holiday event called the Witches Festival, which ran from October 13 through November 1, just in time for the Halloween season. For the Witches Festival, the dead rose from their graves and spirits are stirring in Tamriel, with players being able to perform unique activities for some fun Halloween-themed in-game rewards and achievements, such as Hollowjack crafting, special Provisioning recipes and more. However, one of the most exciting things to come along was a special event that celebrated and coincided with the launch of the One Tamriel update. Bethesda Softworks and ZeniMax Online have organized a special contest that’s a dream come true for any true fan of The Elder Scrolls series. All fans and players of the franchise can enter for free, making them eligible to win one of five possible amazing, once-in-a-lifetime trips. The trips that are hosted by ZeniMax and Bethesda will take the winners to real-world locales that actually inspired some of the most famous in-game areas in Tamriel. That means gamers can take their love of The Elder Scrolls a step further by actually traveling to real-life places that were translated into the game. Essentially, it’s like living The Elder Scrolls in real life. Overall, this potential trip seems like an amazing opportunity for anyone who loves The Elder Scrolls series. I mean Tyler Kirkham, who spent $50,000 to create an Elder Scrolls basement in his home, would probably love this trip, and he wouldn’t have to spend that type of cash on it either. Still you can check out that awesome basement (Courtesy of Barcroft TV) below. For the contest, anyone can enter for free, and ultimately five winners will be selected to travel for various trips around the globe. However, all the entrances have to have a working and valid account for The Elder Scrolls Online, as they will have to give their in-game e-mail account for the Entry Form. Fans and gamers who are interested in the contest have from now until December 16. So there is still plenty of time to enter. If they can’t enter by computer, there’s a great solution to that. Fans can still enter the contest promotion by good ‘ole snail mail with a mail-in entry. They will have to print their own entry from, finish writing it up, and then mail it to the address that is listed on the form. For the mail-in entry to be valid, Elder Scrolls fans will have to get it post-marked by December 16, and the mail has to arrive to Bethesda by January 6 of 2017. There are five globe-trotting packages available for the contest. One includes an African Safari, this is the Elsweyr Package, and the winner will get to travel to Africa to see the visual locations that inspired Elsweyr. Next is the Skyrim package, which is a trip to the wintry Swiss Alps. After that is the Black Marsh Package, which will take the winner to visit the Amazon jungle and Machu Picchu, the inspirations for Black Marsh in Elder Scrolls. Fourth is the Hammerfell Package, which takes the winner to Morocco, which inspired Hammerfell. Finally, there is the Summerset Isles Package, which will take the winner to the exotic country of New Zealand to see the visual inspirations of the Summerset Isles. On a more personal note, the Summerset Isles package looks most visually appealing. Those landscapes and beaches look absolutely gorgeous. It seems pretty fair you can only enter once per in-game account for The Elder Scrolls Online, so it seems more people can’t enter unless they have other valid in-game accounts for the game. In total, the contest has five winners of each Grand Prize package. You will have to be age 18 or older in order to enter. Out of those five winners, each will have the option to choose from one of the five vacation packages, and they will get to bring a guest of their choice. The other good news is that while the contest has only five grand prize winners, Bethesda will select 1,000 total second prize winners. Each of these 1,000 winners will receive 1,000 Crowns. All the 1,000 crowns can be spent to their hearts’ content at the in-game Crown Store. That’s just in time for new items at the Crown Store, such as the Alliance Rider outfit or the Alliance War Dog, both of which cost 1,000 Crowns each. Unfortunately, getting an Alliance War Horse to play around like a mounted knight costs 2,500 Crowns. Additional rules and details on the contest, along with the entry forms, are available at the above link. Winners for the contest will be notified by about January 12, 2017. The Elder Scrolls Online is available now for Windows PC, OSX, PlayStation 4 and Xbox One. The Free Update 12, aka One Tamriel, has already hit PC and OSX. It arrives on October 18 for consoles, and the Witches Festival kicks off on October 13. You can also check out a new trailer for the One Tamriel update in the video player below. Additionally, players who purchase the PlayStation 4 Pro starting in November will be able to enjoy The Elder Scrolls Online, along with One Tamriel, in 4K resolution. Here’s an official synopsis for the One Tamriel update. Also, here are some of the most recent gameplay videos for One Tamriel, marking an overview of Update 12, and a look at the brand-new Weapon Ultimates system.